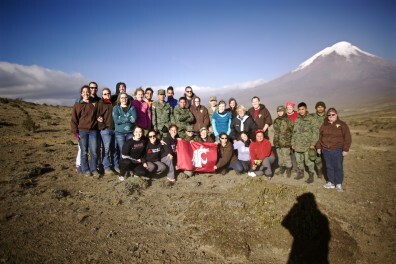 Jacque Garza (bottom row, first on left) in Ecuador. Click to enlarge. The 2015-2016 school year has started, and its time to check in on how our wonderful students spent their 2015 summers. 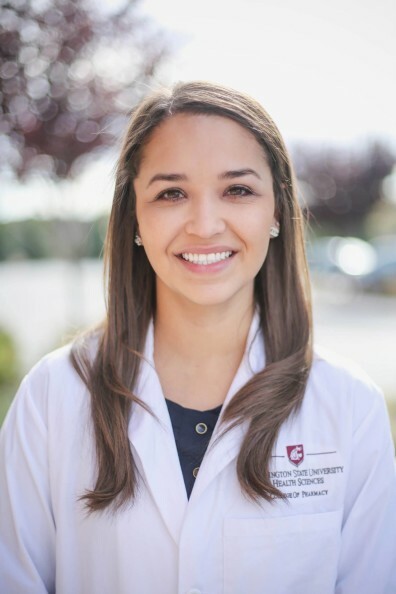 Our first piece features Jacque Garza, a fourth-year WSU College of Pharmacy student. 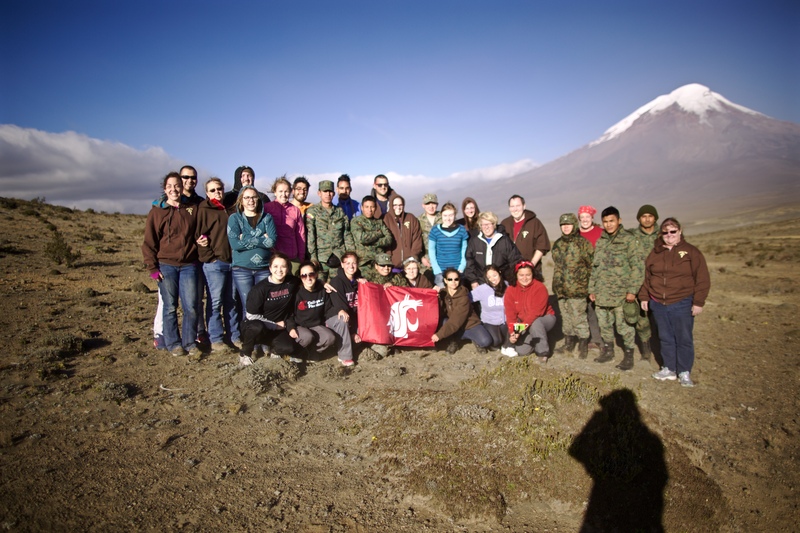 Jacque spent part of her summer in Ecuador completing one of her rotations. It was a busy summer. First off, I went to Olympia for a bill signing, then I started a rotation at Kadlec Medical Center in a senior clinic. Then I was a Christian camp counselor in Louisiana for a week, and then I went to Ecuador. Why did you choose to go to Ecuador for one of your pharmacy rotations? Honestly, I was listening to some of the previous students who went to Ecuador and their stories, and I really just looked at all the other options I had as an elective and thought this would be a great experience to challenge myself, push myself and put myself in a position that probably wouldn’t be comfortable for me. I wanted to see how I would handle it, especially as a health care provider. I also wanted to be more fluent in Spanish. I know enough to get by, but it’s in my family background so I knew going to Ecuador would put me in a position that would allow me to speak Spanish but also almost force me to speak some Spanish. What did you learn about the people of Ecuador as you helped treat them? They were a lot healthier than I expected. What limits them is their access to medical care. We were visiting villages that were close to fourteen thousand feet in elevation. The winds were so strong. Even given their conditions, they were pretty healthy. They had some issues but overall they had decent health. I thought we were going there because of poor health but really it was poverty and lack of access to medical assistance. They would walk miles for our care. Sometimes half the family came one day and the other half came the next day because they had to work and couldn’t skip a full day of work. Overall they were pretty healthy from what I expected and they were so grateful. What did you learn about yourself after working in Ecuador? I learned that I could think on my feet and take what I’ve known and what I’m used to in the United States and work there with what I have. I guess I was able to ‘work outside the book’ and use what I had there and the people I had there and still provide pretty decent care for these patients. What specific treatment did you administer to your patients in Ecuador? I gave a few steroid knee injections. They had arthritic knees and it was different from what we had been taught and I love that, it was really cool. I definitely looked in some ears and down their throats, listened to lungs. Typically pharmacists don’t listen to lungs or look down throats. In the United States we aren’t used that way, but over there we were. So we kind of took on a number of roles, which was really interesting. What are some of your hobbies away from school? Outside of school, most people will know me with a camera in my hands. I usually like taking pictures any chance I can get. I have a little side gig as a freelance photographer. I like to spend time with my nephew and hang out with my friends and family. I’ve really been trying to be the person that puts away all distractions, makes time in a busy schedule and has coffee with a good friend and make time for people on a deeper level than what we’re used to. So I’d say photography, nephew, family, friends and church. What opportunities have you found from your photography hobby? I was able to photograph the men’s and women’s WSU basketball teams for four seasons. That opened doors to the Portland Fashion Week and photographing some Seattle Seahawks events and a practice. I’ve also photographed weddings, parties and senior photos. What would you like to do with your pharmacy degree? The more and more I get involved in pharmacy, it makes me realize it’s more than counting pills and counseling. I’m such a big people person. If I had the most ideal position, it would somehow tie in pharmacy, photography and coach or work with my patients. I like coaching because you get to see progression and work with people. I really like that – I like to see my patients progress and set goals of their own. What do you love most about WSU Spokane? I like that we have a small campus feel but because we’re working with so many different programs in the health care field, it feels diverse at the same time. You see a lot of the same people in your program, but you still feel like you’re at a diverse campus because we have nursing students, EWU students and others. You have the option to branch out and get to know other people from other programs.